In order to gain a better understanding of the impact of the Second Red Scare and how "The Crucible" is an allegory for it, you will be asked to research the subject and select a role to adopt for a classroom simulation. The roles mirror many of the people who were either running the House hearings or those who were forced to testify before them. Conduct research on the Internet and discover information about people who were involved with the Red Scare. Read and take notes about these people. Try and learn the complete story about these people. When you are ready, you will be called as a witness to the U. S. Senate Hearings on The House Un-American Activities Committee. You will take the part of the person(s) you have studied and tell your story about what happened. You will be asked to respond to questions as if you were this person. Once you have an idea of the issue, continue your research on your own. Be sure to keep track of where you go and what resources you end up using for your role as a list of the sites will be required at the end of the simulation. You are Joseph McCarthy, you ran the House Un-American Activities Committee that is being investigated. After visiting the pbs.org site above, learn more about Joseph McCarthy, his views and beliefs and be prepared to represent him. Remember, he believed that what he was doing was in the best interests of the nation. You are the head of the F.B.I and have been since 1924 (when you were only 29 years old). You have been tasked by the president with helping to limit the expansion of Communism on American soil. 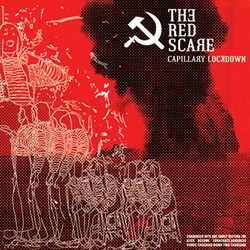 You played a very important role in the red scare proceedings. After visiting the pbs.org site above, learn more about John Edgar Hoover, his views and beliefs and be prepared to represent him. Project 4: Those who publicly voiced their issues with the Committee and McCarthy. and will be responsible to deciding if the House Un-American Affairs Committee was acting in good faith. receive extra credit, based upon their effectiveness.